Representatives from six historical societies in South Jersey attended last week’s township council meeting to protest the demolition of a barn. Representatives from the Palmyra Historical and Cultural Society, the Historical Society of Riverton, the Riverside Historical Society, the Delran Historical Society, the Maple Shade Historical Society and the Burlington County Historical Society attended the meeting. Cinnaminson does not have an active historical society. This year, Cinnaminson will welcome a Wawa with gas at the corner of Route 130 and Taylors Lane. 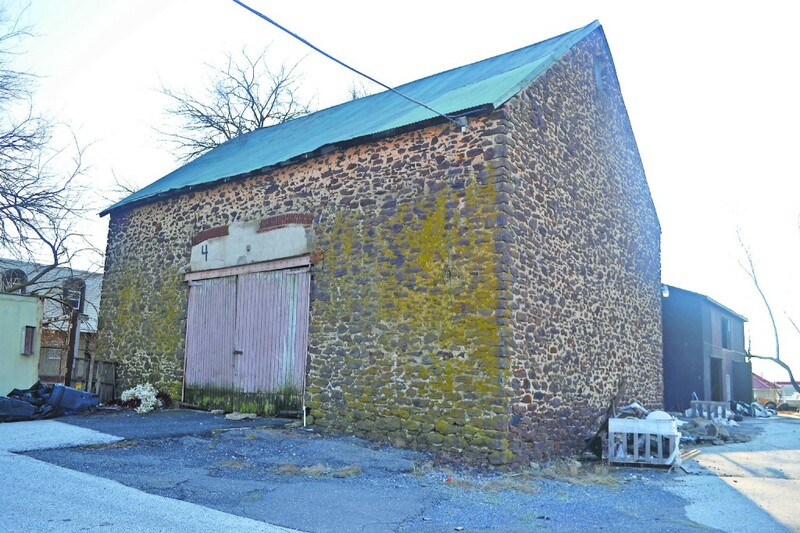 With the site plans, a barn the Palmyra Historical and Cultural Society and the New Jersey Barn Company believe is from approximately 1850 will be destroyed. Palmyra Historical and Cultural Society President Jim May spoke at the meeting to ask for council’s help and to clarify the society is not attempting to block the Wawa from being built. Instead, it is asking Wawa to redesign the building plan to save the barn. 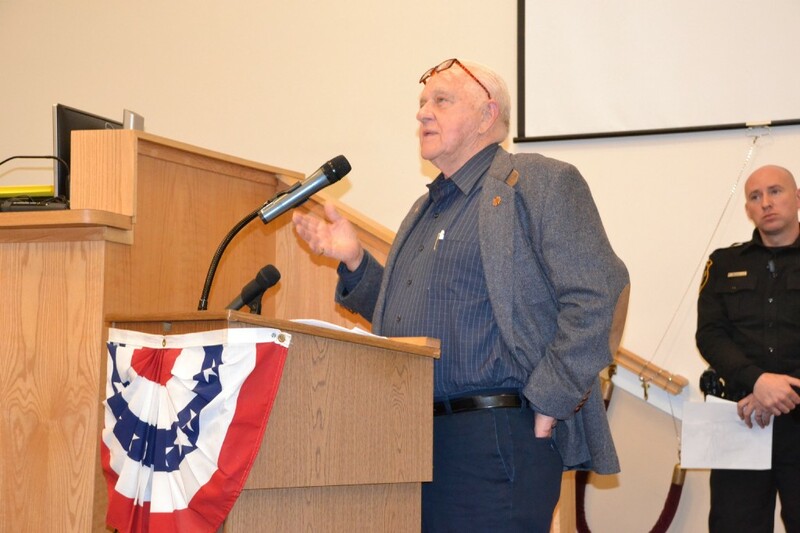 Palmyra Historical and Cultural Society Founder Harold Petitte said he believes Wawa can alter its plans to save the barn and still build the gas station. “It can happen. We’re thankful and we’re hopeful that you’ll support us,” Petitte said. Petitte is requesting council write to Richard Wood, chairman of the Board of Directors for Wawa, to request the plea to save the barn be taken seriously. The Palmyra Historical and Cultural Society has already sent multiple letters to Wood. Petitte referenced a similar request that was made in Millville in 2000 when an incoming Wawa planned to knock down a tree that was more than 200 years old. The residents spoke out, and tree was saved. Palmyra Historical and Cultural Society Founder Harold Petitte speaks at the January Cinnaminson council meeting on his efforts to save a historic barn in Cinnaminson. Petitte also spoke on the heartbreak he felt when a company knocked down a building previously owned by his family that was built in 1701 to construct a parking lot. “Cinnaminson has the least amount of historic building lefts. If they don’t save something soon, they won’t have anything to save,” Petitte said. • Cinnaminson Fire Department Chief Richard Kramer expressed his concerns with the auditor report given earlier in the evening. The report covered various topics on the Palmyra Ambulance Association and the Cinnaminson Fire Department, including revenues and donations. “We were not looking to put the squad out of business. We were looking to supplement the squad,” Kramer said, referencing a previous proposal by the fire department to start an ambulance service in Cinnaminson. Mayor Anthony Minniti responded by saying it is unknown whether adding ambulances to the fire department will save or cost money. “They have no idea what the profit or loss will be,” Minniti said. Minniti also spoke on the various complications of starting an ambulance service, such as hiring personnel. Due to these and other reasons, Cinnaminson is choosing to continue solely using the Palmyra Ambulance Association. • Cinnaminson passed a resolution to welcome European grocery store Lidl, which will take over the Garden State Inn site. Mayor and council expect this to be a positive advancement for Cinnaminson, as the Garden State Inn site has been a high-crime area. The next regular township committee meeting will be held on Feb. 6 at 6:30 p.m.